Google is racing with the likes of Apple and Amazon to control the digital content of the home. During its Wednesday developer conference, Google, the search behemoth, plans on showing off a minimum of one set-top box that is similar to products such as Amazon’s Fire, Roku and Apple TV by Apple, said two people close to the matter. The device by Google will have the brand of another company, but will be powered up by the new Google Android TV software that is designed to play games, movies and other types of content on televisions. Users can control the new box through using tablets or smartphones operated by Android. A spokesperson for Google would not make a comment. The details of the box suggest that the television strategy for Google will be similar to its strategy for smartphones, providing the key software to the makers of the hardware to power up the different devices. Google has explained it would be following the same type of playbooks for its wearable devices such as the smartwatch, of which the first is expected to be shown at this conference. The smartwatches are to be powered by another software by Android known as Android Wear. It is not clear whether Google is planning to design its own set-top box that runs the Android TV similar to its line of Nexus that are powered by the Android. Each of the different devices with Android, present another chance for Google to display customer ads, which is the primary way the company generates revenue. To support the new operating systems such as Android TV and Android Wear, Google has to court developers of software to build the apps that will be the most appealing to consumers. 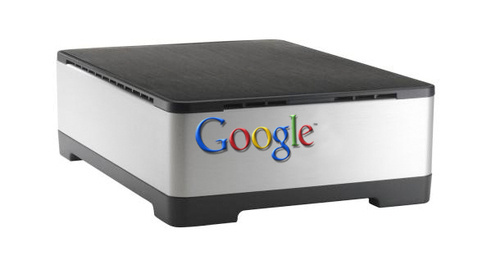 This is not the first effort by Google at a television set-top box. Google TV since 2010 had been offered through makers of devices such as Sony, Vizio, Logitech and Asus. In 2012, the Nexus Q was introduced with its own streaming media players but never reached the mass market. The one successful Google TV play is Chromecast a dongle for $35 that allows users to stream video from Internet using tablets, smartphones as well as computers using the Chrome browser as a remote control.